My B-I-L mentioned the Green Flash Phenomena after I returned from vacation. I had never heard of this and so, was not looking for it while enjoying the beautiful sunsets in the Turks and Caicos. Then I was looking through my vacation photos and look what I found! Green flashes are rare optical phenomena that occur shortly after sunset or before sunrise, when a green spot is visible for a short period of time above the sun, or a green ray shoots up from the sunset point. Green flashes can be observed from any altitude (even from an airplane). They are usually seen at an unobstructed horizon, such as over the ocean, but are possible over cloud-tops and mountain-tops as well. Green flashes are enhanced by atmospheric inversions, which increase the density gradient in the atmosphere, and therefore increase refraction. A green flash is more likely to be seen in clear air, when more of the light from the setting sun reaches the observer without being scattered. We might expect to see a blue flash, but the blue is preferentially scattered out of our line of sight and remaining light ends up looking green. Talk like a Pirate Day, originally uploaded by BissellBlog2.0. Aye! Shiver me timbers, it’s take like a pirate day, Arrrr! Here is our newest family member Emo. We adopted him/her (?) from a friend who needed to find him a home. It will take Eric some time to adjust to the “peep” peeping, but he seems to really like the bird. After some research and a bit of a learning curve, here it is, our first self-hosted blog powered by WordPress. 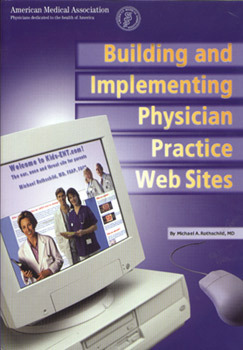 The fun for me was learning a bit about PHP, MYSQL and figuring out where the database was located on my server and how to use it. Now that the program is up and running, I need to think of something to say;-) I’ll have to get Rich to contribute, as he always has something to say! 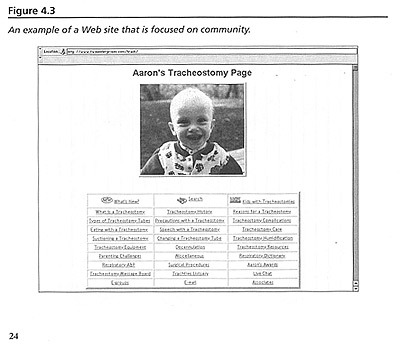 Aaron’s Tracheostomy Page is found on Page 24 of this new publication “Building and Implementing Physician Practice Web Sites” by Michael A. Rothschild, MD as an example of a community web site.